I was first introduced to Ten Years After through their third album Stonedhenge way back in 1969. Although the album itself was quite experimental for some reason it 'registered' with me and their following four albums became firm favorites of mine and still get an airing from time to time these days. Ten Years After may have reached a wider audience as a result of Woodstock, however one way or another they would have broken through with their explosive mixture of rock'n'roll, blues and exceptional musicianship. 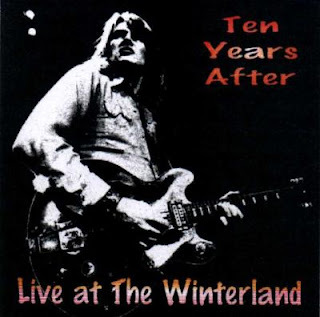 This is Ten Years After live at the Winterland, San Francisco, California back on the 30th April 1971. 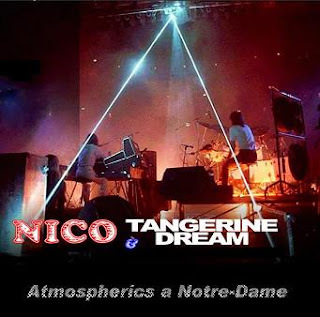 This is Nico & Tangerine Dream recorded live at the Cathedrale Notre-Dame, Reims, France, way back on the 13th December 1974. This recording was sourced from the a broadcast of the event on France Inter Radio and has been widely circulated as a silver CD boot. The majority of this recording is of Nico performing solo with a Harmonium (she was the supporting artist) however over time Tangerine Dream seem to have been 'upped' considerably in the credits. The venues audio characteristics along with Nico's haunting style have a significant effect on this recording that as a result produced music of a timeless and fascinating nature.